Today, one could argue that emoji dominate all forms of modern electronic communication, from instant messaging to advertising. First appearing in Japanese phones in the late 1990s, emoji have become ubiquitous only in early 2010s, when major smartphone manufacturers included them in their respective mobile operating systems. Emoji enrich our conversations and elevate our words by infusing them with meaning that is hard to convey otherwise through a simple use of words. Ok, maybe not that hard for Faulkner, but for most of us on the go, typing a winking face is much more efficient than even trying to explain the meaning behind it. In other words, by now all of us have emoji keyboards on our iPhones. They are near effortless: just switch the language and type. But it’s a completely different story on macOS. Does anyone really know how to add emoji on Mac effectively? If you survey how most people type emoji on their Macs, you’d find lots of time-sucking hacks, such as finding the right emoji online and copy-pasting it into the message or downloading apps full of adware that promise a full emoji collection. Luckily, there are a few better ways to do that. Good news is that all emoji you’ll ever need are already available on your Mac. No need to go looking for them online to copy over. 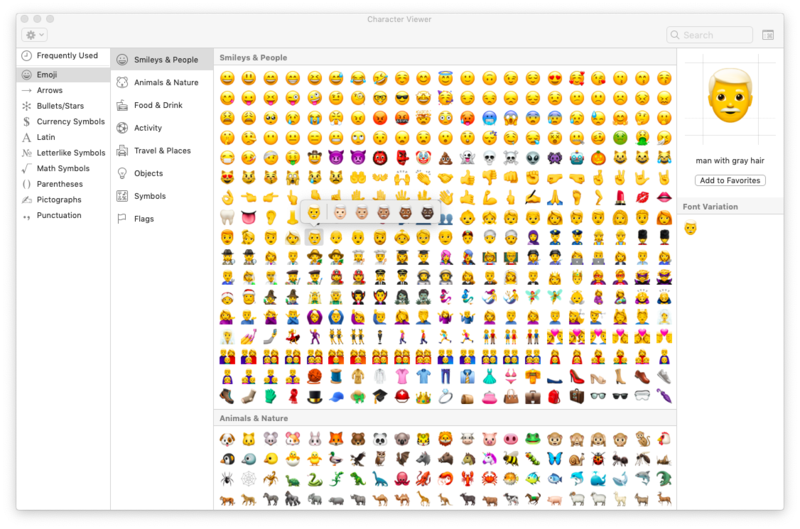 As you can see the Character Viewer does not only contain all the supported emoji, it also features hundreds of rare and normally hidden characters from mathematics, other languages, punctuation, and more. To see all the available characters, click on the cog in the top-left corner and choose Customize List. There you can include even more categories of braille patterns, various scripts, and code tables. You can also uncheck specific categories you don’t need to simplify the emoji keyboard on Mac. When you want to insert emoji on Mac, you first need to open a text editor or a program in which you’d like the emoji pasted. 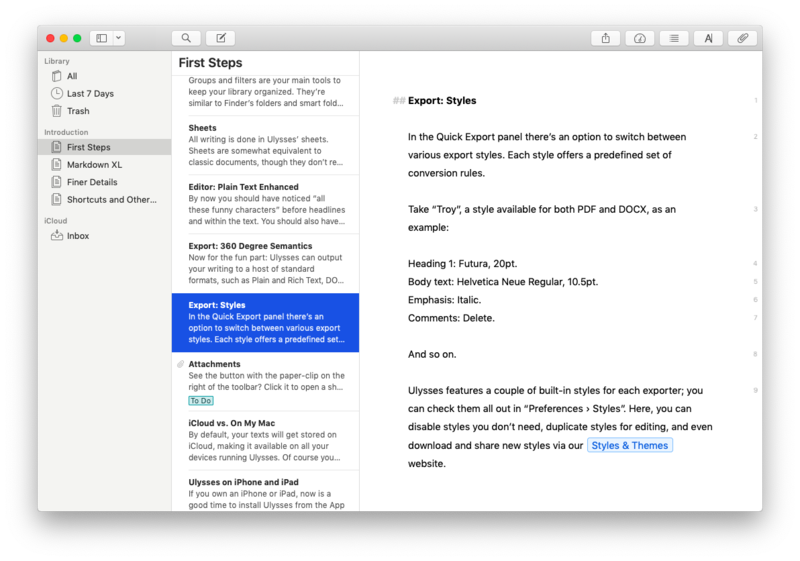 In case you’re writing a blog post, there’s nothing better here than Ulysses. Ulysses is a full-featured writing app that lets you focus on words with no distractions. With support for Markdown, sync with iCloud, and multiple export options directly to WordPress or Medium, it covers all the essentials without being bloated as many contemporary word processors are. If you need to know how to type emoji on Mac while working on Ulysses, simply click on the keyboard layout icon from the menu bar, select Show Emoji & Symbols once again, set the typing cursor where you want your emoji to be placed and double-click on the emoji from the Character Viewer menu. To make emoji typing workflow more seamless, click on the top-right icon in the Character Viewer menu, and it will switch to the inline mode, which makes it much easier to insert emoji on Mac. Even though placing the Character Viewer window in the menu bar gives it the prominence it has never had before, you don’t always want to stop typing, switch to your trackpad, and navigate all the way up there. It’s just too distracting. Luckily, there is an easy-to-remember emoji shortcut on Mac — Control + ⌘ + Space. 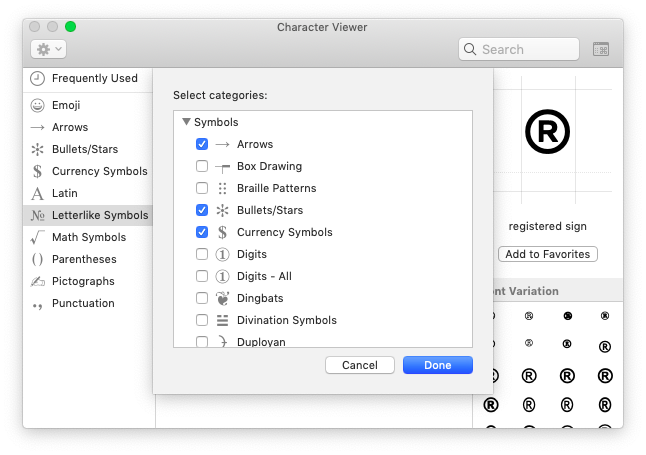 If you turned on the Character Viewer to display inline and use the shortcut mentioned above, you can then navigate all the emoji using standard Mac arrow keys and paste any emoji in by pressing Return. It could be though that you don’t want to use Control + ⌘ + Space as a shortcut for the Character Viewer menu — no problem, you can change that as well. Make sure to add a shortcut combination that is not yet taken by anything else; otherwise, the original action the shortcut belonged to will be left blank. Truth be told, although setting a single shortcut with the built-in shortcut manager might be fine, remembering another handful of changes suddenly becomes much more difficult. So if you plan on changing any shortcuts in the future at all, you’d be better off by starting with a professional app like BetterTouchTool. BetterTouchTool is the most complete manager for all your Mac input devices, be it a keyboard, trackpad, Touch Bar, or anything else. It lets you customize any shortcut for any action with a few clicks and even records key sequences, with which you don’t need to hold all keys at once to trigger an action. Now every time you use the new keyword, it would trigger the one you had before. You can similarly adjust other input devices, such as a trackpad or mouse, by using the respective tab at the top. What’s unique about BetterTouchTool is that all keywords will be saved in one place and could be easily viewed and modified. In the end, typing emoji on Mac is not more difficult than doing so on your phone. Especially when you’re doing it inline in a word processor like Ulysses by using your personal shortcuts that were set in BetterTouchTool. Best of all, both Ulysses and BetterTouchTool are available for you to try free via Setapp, a platform of more than 130 distinguished Mac apps and utilities that help you accomplish everything you need to do intuitively, without spending any time tinkering with settings.